Hit successes with established franchises aren’t enough to keep Nintendo happy. During its latest Q&A session with investors, Nintendo revealed that it was still struggling to expand multiple franchises beyond their existing demographics. Even though Pokemon: Let’s Go! Eevee and Pikachu sold extremely well, and Super Smash Bros. 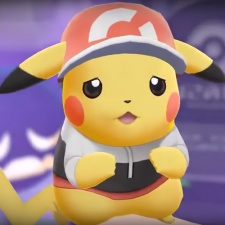 Ultimate brought in the company’s best ever (excluding Pokemon) launch week in Japan, those games are still largely being played by their expected audiences. “We feel very fortunate that the initial sales pace for Super Mario Party, Pokemon: Let’s Go! Pikachu, Pokemon: Let’s Go! Eevee and Super Smash Bros. Ultimate has been so strong,” said director and senior executive officer Satoru Shibata. "If you look at the demographics of the consumers who purchased each of these titles, I'm not convinced we've completely overcome these challenges yet. “So our aims are to keep working on them this year, to expand sales of these titles to new consumer demographics, and to keep selling these games for a long time, which is one of our strengths." Elsewhere, Nintendo revealed it has multiple unannounced games in development. One, in particular, seems primed to attempt to solve a drop in Nintendo Switch Online’s long-term subscribers. A growing percentage of users are opting only for shorter membership purchases, as opposed to over half choosing 12-month memberships the previous year. And while the Nintendo 3DS is in a faster decline than expected, Nintendo still has hopes for the handheld. The company believes the pocket console is still a popular option for parents picking out the family’s first console for their children.